This professional Audio-Technica AT-LP1240USB turntable offers a direct drive, great torque, USB output and plenty of great features for DJs and home connoisseurs. It uses a professional 16-pole three-phase motor with a torque of more than 4.5kgf/cm. Its operation is absolutely silent, stable in speed and allows two-way rotation. The S-shaped arm is for improved tracking changes during the rotation. It is possible to adjust spindle pressure, anti-skating compensation and arm height for an ideal fit of the stylus on the surface of the record. The arm is also equipped with a removable head to fit most models of cartridges. 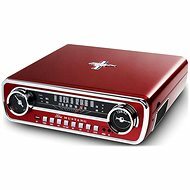 The switchable preamplifier allows you to connect your turntable directly to receivers, active speakers and most A/V components. The USB output is used to connect the turntable to a computer (PC, Mac) and convert the recording to a digital MP3 format. DJs will appreciate the aluminum alloy platter equipped with stroboscopic speed control indicators, a slipmat with a high-adhesive pad, a stylus light, hydraulic arm control, a speed light and pitch control with Quartz lock. An added bonus is the AUDACITY software for absolutely simple digitisation of vinyl records, equalising and removing the crackles from recordings. 33.3 rpm., 45 rpm., 78 rpm. Done! USB port	, Digitising vinyl Done! Electromagnetic (MM / MC) Done! Windows XP, Windows Vista, Windows 7, Windows 8, Windows 10, Mac OS 10.0 (Cheetah) and newer, Mac OS 10.1 (Puma) and newer, Mac OS 10.2 (Jaguar) and newer	, Mac OS 10.3 (Panther) and newer	, Mac OS 10.4 (Tiger) and newer	, Mac OS 10.5 (Leopard) and newer, Mac OS 10.6 (Snow Leopard) and newer	, Mac OS 10.7 (Lion) and newer, Mac OS 10.8 (Mountain Lion) and newer, Mac OS 10.9 (Mavericks) and newer, Mac OS 10.10 (Yosemite) and newer, Mac OS 10.11 (El Capitan) and newer	, Mac OS 10.12 (Sierra) and newer	Done! USB cable, RCA converter, Audacity Software , Transmitter for 45rpm. Done! For shipping to other EU countries visit this page Audio-Technica AT-LP1240USB. 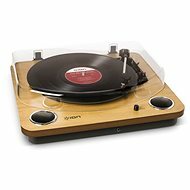 Für Versand nach Deutschland, besuchen Sie bitte Audio-Technica AT-LP1240USB. Chcete doručit zboží do Česka? Prohlédněte si Audio-technica AT-LP1240USB. Chcete doručiť tovar na Slovensko? Prezrite si Audio-Technica AT-LP1240USB. 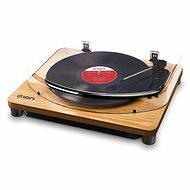 Für Versand nach Österreich, besuchen Sie bitte Audio-Technica AT-LP1240USB. Magyarországra történő kiszállításért tekintse meg ezt a termékoldalt: Audio-Technica AT-LP1240USB.